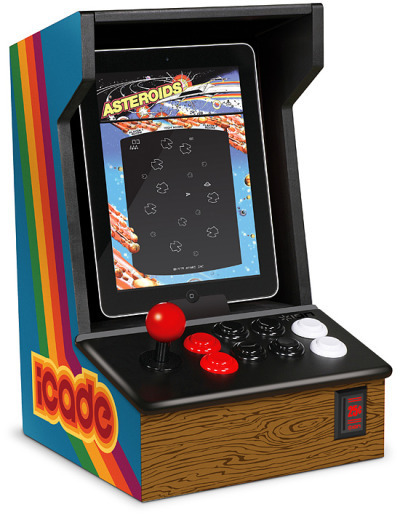 Retro arcade gaming fans will love ThinkGeek's iCade arcade cabinet made by ION for the iPad. With the growing classic style arcade apps for the iPad, the iCade seems like the perfect gaming buddy. Your iPad slides into the iCade and connects via Bluetooth to the iCade's authentic retro arcade joystick controller and buttons. You can pre-order yours right now for $99.99 and expect it to start shipping by May 20.